The House voted 406-19 to approve a bill that would strip health insurers of antitrust exemptions granted to the industry under a 65-year-old law. 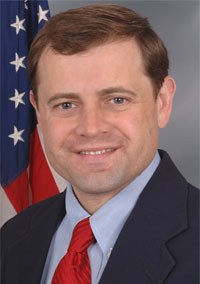 The legislation “would end special treatment for the insurance industry that allows them to fix prices, collude with each other, and set their own markets without fear of being investigated,” according to a statement from freshman Rep. Tom Perriello (D-Va.), who co-authored the bill with Rep. Betsy Markey (D-Colo.). Insurers had been granted this exemption from federal antitrust laws in 1945 under the McCarran-Ferguson Act. “There's no reason any industry should be exempt from one consumer protection” that applies to everyone else, Rep. Louise Slaughter (D-N.Y.), who chairs the House Rules Committee, said during House floor debate on the bill. The measure that passed the House would not apply to medical malpractice insurers, although this sector of the industry had been included in a previous version of the bill. The legislation now heads to the Senate for consideration. More than 150 Republicans voted for the bill, yet some have argued the exemption serves a purpose, that it allows health insurance companies to share data so they can accurately predict their rates. Without this ability, insurers could raise premiums, Republicans claim. “Democrats tout this plan will increase competition and lower premiums. We don't think that's true,” said Rep. Virginia Foxx (R-N.C.).